Wow. What a great post. I hope this gets read by all the booksellers you're talking about, and not just in New York. Having once been a very dedicated indie bookstore employee, I have a couple of comments. The first is that, as you suggest, I think sometimes in their quest to be independent, indie bookstores make the business harder than it needs to be. Indie bookstore owners & employees can indeed be iconoclastic and diffident, but the problem is that too often this attitude is picked up on by prospective customers who are intimidated by this attitude and thus prefer to shop at the more inviting chain stores. Secondly, and more importantly, is your point about "front line booksellers." Being a bookseller at a truly great indie bookstore was one of the best jobs I've ever had. I think I was very good at it, and I would love to be able to do it again, but the simple fact is that I could not afford to keep that job and I went deeper into debt the whole time I had it. Booksellers are by far an indie book store's best asset, but the same book store owners who complain about the state of the industry are not always willing to put the resources toward the one thing they have going for them, the people. I know the money is often tight at these places, but I don't understand how an indie can survive without a dedicated, knowledgeable staff. You are lucky that you were able to find a store that you could start a career in bookselling at. At many stores, such a career isn't possible. I agree with you about the difficulty of making a living as a frontline bookseller. Bookstore profit margins are always super-tight, and payroll is the biggest expense next to rent, so it often seems logical to employ minimum-wage employees and maybe one or two "management" types. But my experience is that the more each individual bookseller is invested in the store, trained, knowledgeable, enthusiastic, pleasant -- in a word, professional -- the better the bookstore will be. One of the things we discussed at the Emerging Leaders meeting last ABA was the possibility of profit sharing or other strategies to allow bookstores to retain great employees, and allow frontline booksellers to keep the jobs they love and still put food on the table. It's a tricky business, but I think we've got to pursue it if great independents are to survive and multiply. Thanks for your comments and compliments -- great to have another (once, always) bookseller reading! Thanks for the well-thought-out post. Its overall message of generosity is perfect as the holiday season approaches; your point about stores being wary of sending customers to "competitors" a sobering one. Also, you're right that some may regard the bookseller position as similar to a Gap job--probably because the pay is modest--but we book lovers beg to differ. Nothing beats hearing a recommendation from your local independent seller, whom you've grown to trust. Also, some of the most important friendships in my life started during a "What have you read lately that's good?" conversation. One more thing: happy birthday to you & the ALP! I went to NAIBA (as an author, but man was it heaven as a reader!!!) and wondered why there wasn't more of a NYC presence...I was invited by the owners of a wonderful local indie (Bennett Books)and loved every minute. Thanks for your excellent post. Back when I was working the front lines of a NYC indie, I was amazed how quickly being a bookseller without a stake in the store could cause burn-out. It really does come down to the pay sometimes, no matter how much you are a supporter of the business. There isn't a lot of respect out there for booksellers who think of the job as their career but don't aspire to ever own a bookstore. This could be part of the effect of chain stores, who made bookselling into just another retail job. It would be nice to see more meet-ups among booksellers because I think alot of employees would benifit from meeting their counterparts. It's going to take a lot of legwork and cajoling to get them out of the woodwork, however. There was something in this post that reminded me suddenly of sitting in a student senate meeting in high school and debating student apathy. Later that year some guys on the track team started a foul-mouthed underground newspaper that directly attacked and insulted the principal. The student body really woke up to school issues. In other words, this set of problems in my opinion boils down to P.R. strategy. What a good local organization should be engaged in is P.R. It may be that only once a specific campaign has already been launched will the various potential members become alert to the benefit of joining in. Also, as has been suggested, it all boils down to money. And specifically NOT just for the store owners, but for whichever booksellers participate in the new P.R. campaign. I have been struck by the fact that although Larry Portzline's "Bookstore Tourism" is so successful in New York, that no New Yorkers have created a full-time company to do it, and no New York bookstores have realized that if Larry can without difficulty fill buses in Harrisburg, PA and benificently deposit 60 paying customers on the doorsteps of a bunch of happy and startled bookstores in NYC, then this means that there are probably HUNDREDS of towns in a 3-hour radius from NYC that could be tapped to provide tens of thousands of new customers to New York indie bookstores. And this activity could be coordinated by individuals, teams, organizations, corporations, in New York. Why should all the tourists in New York not be attracted and directed to bookstores? There's MONEY on the table. Bookstore employees could be specifically involved in tour-guiding, and could establish a commission system, since these are patently NEW customers for the bookstores involved. Perhaps the definition of "New York Bookstores" needs some broadening. Check out this store in Stockholm! Awesome post! And I agree that it should be read by all booksellers. In my dealings with booksellers in and around Greenwich Village, I've often suggested just what Andy said -- that the number of bibliophiles within two or three hours of New York who would LOVE to do what my bookstore tourism groups have done is staggering. I've even suggested a loose consortium that would work with travel agents or motorocoach companies to bring busloads of booklovers into town. But the resistance as BN describes it is quite clear. They may agree that it would indeed be a great thing, but they worry about having to cooperate with their competition, and they'd rather let someone else do all the work anyway. Have these booksellers not seen the buses from the hinterlands in Midtown? We're not talking about suddenly having 50 motorcoaches parked in Washington Square, but a handful of buses each week from Jersey / Connecticut / Delaware would certainly be nice for the bottom line and help to raise consumers' awareness of the indies -- INCLUDING when they get back home to their own communities. The benefits are so obvious and so far-reaching that they ought to trump any misgivings about being friendly with the competition. But the walls stay up. I have to add that when I was in a Village bookstore very recently, I overheard a woman -- apparently from out of town -- asking about a used copy of a particular title. The bookseller replied that they didn't have any used copies, and although the store was just blocks away from the Strand, which almost certainly would have had it, he didn't mention it. Would it have destroyed this guy's bottom line to send the lady up the street? Good will within the industry shouldn't be a foreign concept to indie booksellers, it should be Rule #1. The potential dividends are mind-blowing. 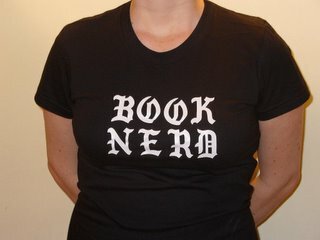 This is clearly one of the top ten posts of 2006 for the bookselling community (and by community I mean everyone who sells books- no matter if they are new, used, rare etc.) I do think the used, rare, out-of-print bookseller is a little more open to referring someone to a colleague and maybe it is because the independent new book store tends to lean toward the publishing industry more than their brethren. Booksellers in both worlds have become too lazy in that they would more quickly refer a customer to one of the godzillas (Amazon, Abebooks etc.) then one of their neighbors (I will have much more to say about this in an upcoming post). Bookselling This Week just put out a column by American Booksellers Association President Russ Lawrence on this very topic from a national perspective. Good timing. Check it out here. well, let me give you some quick thoughts from a former bookseller in South Africa, seems we had much the same problems you did. Regardign the above, I did that too. We didn't have even the sugestion of meetings and organizations and get-togethers when I was still working in the bookstore. A lot of us knew each other though, and we would actually refer customers criss-cross. We had an adnvatage I think, since most of the indie stores here tend to do both new and 2nd hand books. A few stores would even band together and buy stock together, savign on expenses and stuff. But, yes, when we liked each other, we would refer customers to one another's shops. "Like" is an important word in this context. Not all booksellers liked each other. But you haven't really mentioned outright the most important aspect of this enclosed attitude - the fear of the competition. That fear is real - the fear that you will be put out of business adn if you refer people to otehr stores, that's exactly what you're doing, giving them business and taking it away from yourselves. Now, most of us here came to knwo each other. We had a few less than ethical book selling folk, and I refused to give them referrals. But there are books I simply didn't stock [Christian books were a horrible seller at my store, and I only had one customer who ever looked for the likes of Emile Zola and Andre Gide] In those cases, i would recommend stores I knew carried them. same with comic books. In our stores, we never bought the new ones, but would get some back issues some times. Now, I also buy comic books adn that's where I would send people when they looked for new stuff, or back issues we simply never found, like Sandman or Alan Moore's comics. Indie and chain stores - you know, I don't understand why these two think themselves in competition. Both have the same goal, the advancement of book selling, and both have benefits the other doesn't, as well as flaws the other can compensate for. I have a grumble about SF writers who don't know their genre, but write it anyways. The response is inevitably "but we can't find it! None of the stores stock them, they only stock Fantasy." I used to think that, and then I discovered 2nd hand and smaller, specialist shops. Now I know they do exist, even the SF fans can have a paradise if they go look hard enough. It's true - booksellers aren't all sitting around the fire, holding hands, and singing Kumbaya. And it's also true that we independent booksellers lean toward...well, independence...and that we might not play well together all the time. But let's not make believe that a professional bookselling community would be something new. The American Booksellers Association is supposed to be that organization. And about half of the savvy, successful bookstore owners I know (four of nine) think that the ABA is a complete joke... and yes, I share that opinion. Do opportunities exist for booksellers to improve their lot by working together? Absolutely. But it's never gonna happen under the banner of the ABA. Never. Period. A bunch of twenty-somethings want to get the independent bookselling world back on track? Hey, I'm all for it. Lemme know what I can do to help. But take it from a guy who's been around the block a few times...you can't build a new house using nails and screws you pulled out of the old house. Start fresh. Start an organization with ideas that COMPETE with those of the ABA. Thanks so much for all your comments, guys. Dave, I didn't even mention the ABA in this post and you still managed to talk about it! =) (I did mention NAIBA, our regional association, which it seems to me even fewer bookstores belong to than to ABA, though its benefits are potentially greater on a local level.) I agree with you that ABA membership is only one way booksellers can get together as professionals -- several booksellers I respect I know through other channels. But I tend to think that every little bit helps. Andy and Larry, you guys ever think of working together? I'd love to see Bookstore Tourism get big, but I've got my own rainbows to chase and I don't think I'm one to take it on as a project. I'm happy to support it all I can, though -- I think it's one of the new ways of thinking that has the potential to revitalize indie bookstores. I also want to clarify -- one link to this post implied that I think indie bookstores in New York are in bad shape. I don't. I think this city has some of the most wonderful bookstores in the world, and some of the best booksellers I've ever met. But if our bookseller culture is going to survive and grow in the decades to come, I think the time has come to learn to work together in better ways. Keep those ideas comin'. And especially let me know if you have thoughts about how to reach out to booksellers who may not be blog readers. Yes, Larry and I are now going to finally start working together directly. Thanks for waking us up about this, Jessica. I'm glad I found your blog! As someone who loves books and loves to promote great fiction, I find this fascinating. I'd love to chat with you sometime on my literary blog, Novel Journey. I think the novelists who hang out there would also find your views interesting. (You can contact me through my profile if you or any of the booksellers reading this would be up for an interview). I'm glad there are folks out there who are so passionate about books. It was extremely interesting for me to read this post. Thanks the author for it. I like such topics and anything that is connected to them. I would like to read a bit more soon.